The Browns announced yesterday that offensive coordinator Kyle Shanahan would be leaving the team after only year and that QB coach Dowell Logains won’t be coming back next year either. Shanahan’s departure means the Browns will be on their fourth offensive coordinator in four years and their ninth in ten years which hardly help with continuity. Shanahan departure doesn’t look good either when trying to recruit a new offensive coordinator or just on the organisation as whole, why was Shanahan so desperate to leave? It be because of supposed lack of faith in his play calling abilities with reports from Mary Kay Cabot of the Plain Dealer suggesting that some executives had texted Shanahan suggested play calls during the game. If had take a guess as to who that person was and this only speculation, not fact I’d say it was Dowell Logains because a similar report broke about him texting Johnny Manziel on draft day before the Browns picked him and then urging Jimmy Haslam to pick him. Adam Silver of NFL Network also said that Shanahan didn’t like having a QB change “shoved down his throat” by the front office. With GM Ray Farmer a fan of Johnny Manziel getting rid of Shanahan who didn’t have a great deal of faith in Manziel’s abilities might be a play to get in a coach who wants to work with Manziel. Shanahan himself had an interview with the Bills for their head coaching vacancy and may have left the Browns with the intention of pursuing a head coaching job either in the NFL or in college. On the replacement front there has only been two or three names linked with the job so far and some are a lot more preferable than others. 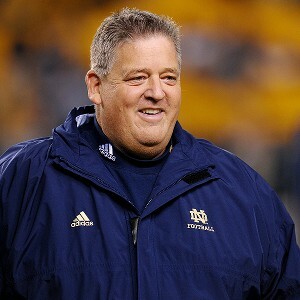 Charlie Weis was the man to be named as a potential replacement with CBS Sports’ Jason La Confora saying that he had heard that there is some interest from the Browns. While in general I would be against hiring because I don’t believe him to be all that good of a coordinator it would even more foolish to hire him when he has stated in the past that he would have difficulty working with Johnny Manziel. I think Weis has lived off the fact that he coached a future Hall of Famer in Tom Brady to 3 Superbowls but in reality those Patriot teams of the early 2000s won those title with their defense not their offense. If you more proof as to why Weis isn’t a great coach just look at his time at Notre Dame and Kansas. At Notre Dame despite being able to recruit nationally with one of the best names in College Football he only managed to reach double digit wins once in his six years and his highest finish was #9. Kansas and Charlie Weis were an unmitigated disaster with a combined record of 6-22 in his two and a bit seasons. The only thing in his favour other than helping Tom Brady develop was his season with Kansas City where he help to lead the 9th best in total offense and 1st in rushing while also helping Matt Cassel to have his best season as a Pro. Weis has never coached a mobile QB like Manziel before though and I dont think he would be the worse coach to hire but I wouldn’t be a massive fan of his if he were to be hired. 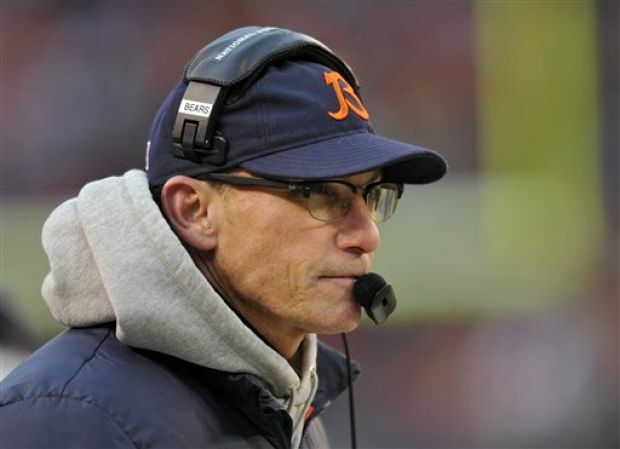 Another name that has been mentioned as a possible replacement is former Bears HC Marc Trestman who got fired on Black Monday. Trestman who has been the Browns offensive coordinator before way back in the 1988 and 1989 seasons. Trestman is known as a bit of a Quarterback whisperer which can’t be a bad thing with two young quarterbacks in Johnny Manziel and Johnny Manziel. One thing against Trestman is that despite having some great weapons in Chicago in the form of Brandon Marshall, Alshon Jeffrey and Martellus Bennett never really managed to turn Jay Cutler into the QB he could have been. He did help Cutler to two of the best seasons as a pro but the defense in Chicago was so porous that any step forward was canceled out by the defense. Trestman might be able to get the best out of Josh Gordon as he has helped receivers like Alshon Jeffrey realise their full potential. Trestman did help to get the best out of Matt Forté as well with him having 1846 yards from scrimmage and this would surely be a good thing with Isiah Crowell and Terrance West. The only other real problem I would have with Trestman being hired would be that his offenses tend to be pass happy which isn’t great with the Browns lacking a satisfactory QB. Another name that has come up and strong links with Mike Pettine is Bears QB coach Matt Cavanaugh. Pettine and Cavanaugh have worked together multiple times starting back in 1993 when they were both working at Pitt together (Cavanaugh’s alma mater where he won as a national championship as the starting QB). The pair worked together twice in the NFL first from 2002-2004 with the Ravens and from 2009-2012 with the New York Jets. Cavanaugh was a Superbowl winner with the Ravens in 2000 as their offensive coordinator. Under Cavanaugh Jamal Lewis rushed for 2066 yards in a season which is the third highest of all time. Cavanaugh was one of the main reasons Mike Pettine got his break in the NFL with him recommending him from their time together at Pitt. So it would be fitting for their roles to be reversed and for Pettine to be recommending him for a job. Pettine was paired with Shanahan last year despite the two never working together in the past and in would understandably be a lot easier for Pettine to hand over the control of the offense over to some who he worked with in the past and would have more faith in. Cavanaugh is known as a QB guy around the league while also has had plenty of success calling plays as well. The only concern again would be about how he failed to get Jay Cutler to play to his potential. In their tenure together in New York the Jets reached two AFC title games with Mark Sanchez at the helm and should he be hired he may reunite with Sanchez who is a free agent at the moment. 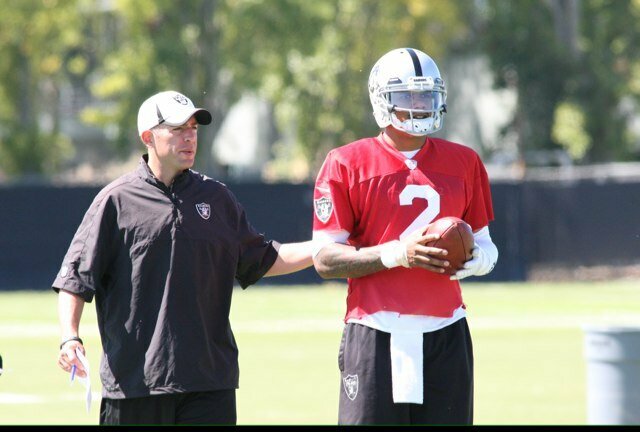 Another named that has been linked to the Browns OC job is Raiders QB coach John DeFilippo. DeFilippo has gotten a lot of credit around the league for the way he has helped Derek Carr emerge in rookie season and worked with Pettine in the past in New York as the Jets QB coach in 2009. DeFilippo is supposed to have given an excellent interview last year to the Browns and is held in high esteem by the front office. If he were to become OC he may want to bring in Mark Sanchez after working with him in the past. There has been some talk about bringing in Mark Cavanaugh as the new OC and DeFilippo come in as the QB coach which would be the best of both worlds. The only other name that has been mentioned is that of Bills OC Nathaniel Hackett who coached with Pettine for one year in Buffalo when both were coordinators. It seems it would difficult to pry away Hackett from Doug Marrone’s side though. To conclude I feel this choice would be Matt Cavanaugh at OC with John DeFilippo as QB coach but I wouldn’t be against any of the other candidates except for Charlie Weis who just doesn’t seem to be as good as Tom Brady made him look.